I’ve been super on the fence about the Lamy Studio for years now. I think the most appealing part about it is the Safari / Al-Star style 14k gold nib. 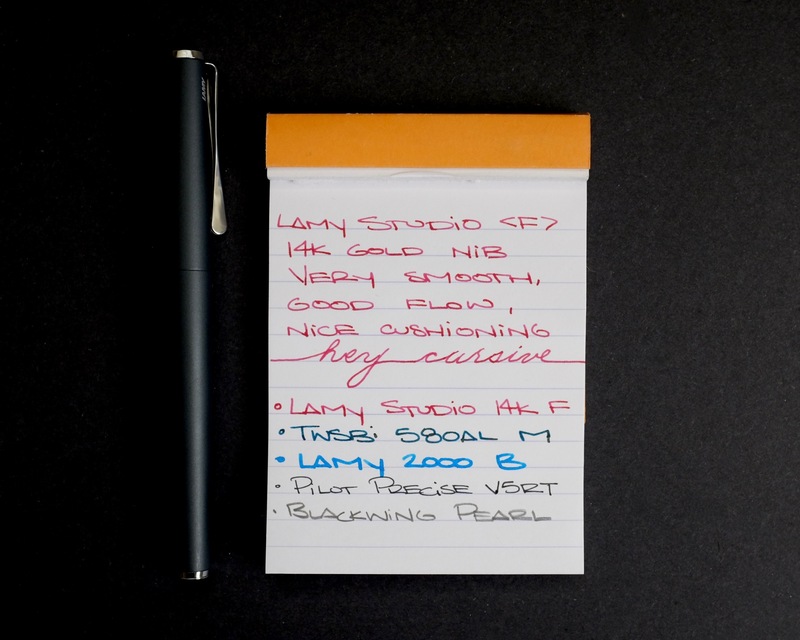 When I received the pen from Pen Chalet, the real test was to see if I was excited about the pen as a whole, or just the fact that I could trick out my Lamy Safari with an awesome gold nib… Read on to see how the Lamy Studio holds up! Lamy Studio over for review! The Lamy Studio comes in a nicely designed cardboard box, just like the Lamy 2000. I’ve said it about a million times now, but packaging isn’t a huge deal to me. The box is nice, not wasteful, and more than enough to make an impression should you decide to give this pen as a gift. 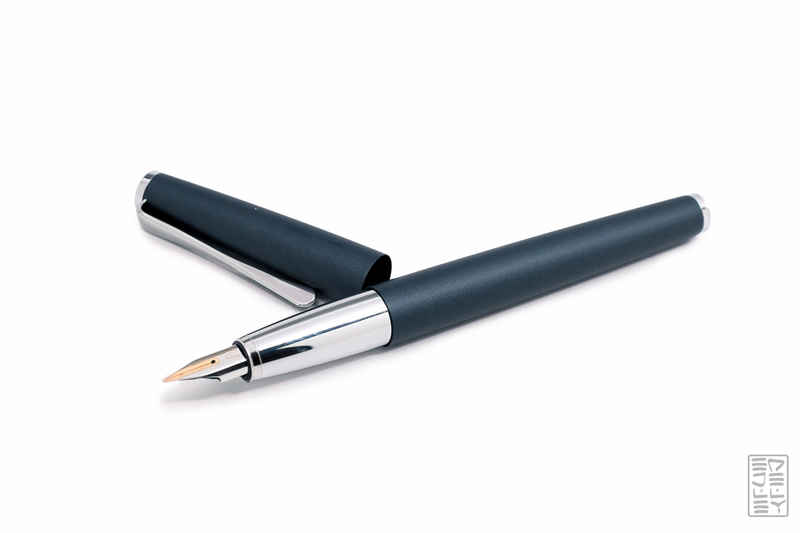 The pen itself is a torpedo shaped, completely flush pen with a bright silver end cap on both the tail and cap of the pen. There’s a super glossy (fingerprint magnet) metal grip and propellor style clip made from the same material. 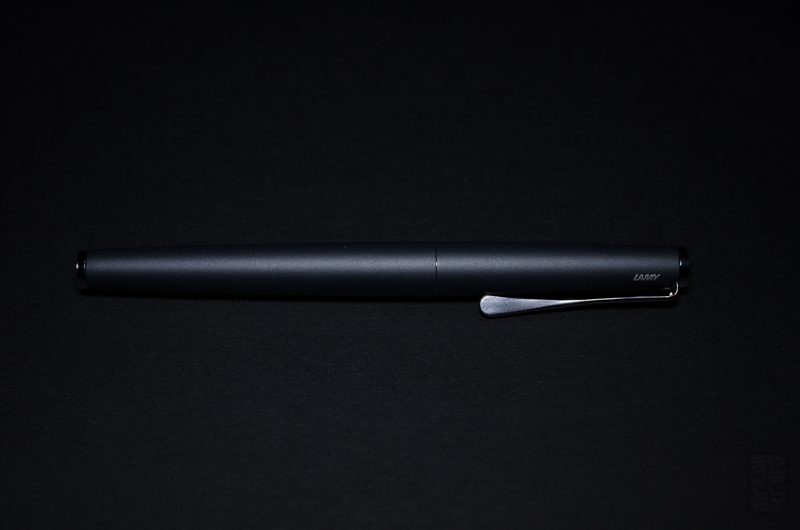 There’s definitely a sense of style about the pen – it just looks sleek. I would say it looks like a Lamy 2000 that had to dress up for a slightly more formal occasion — less utilitarian and a bit more classy. The shining star of this entire pen is the 14k nib. 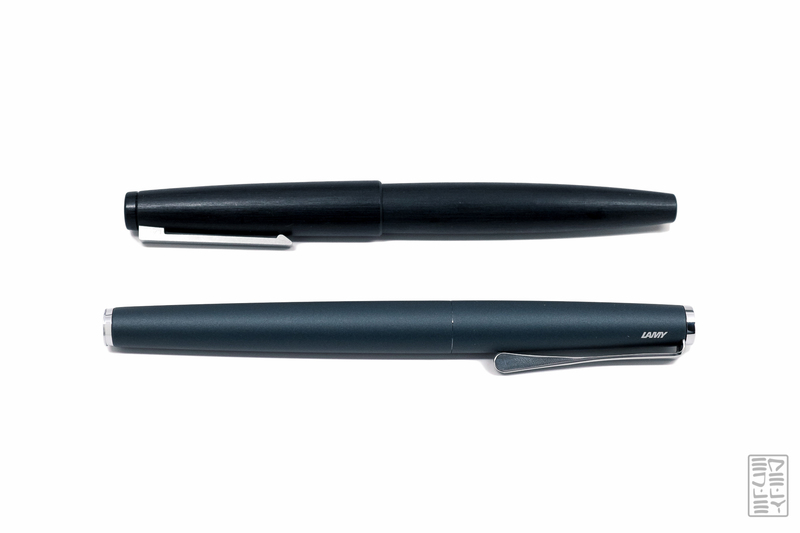 It’s the same style as that seen on the Safari / Al-Star / various other pens in the Lamy lineup. It can easily be removed for cleaning or swapping over to another pen. It lays down a super wet, silky smooth line with just a tiny bit of cushion, courtesy of the 14k gold. I really like writing with this nib, and yes, I’ve already put a gold nib on a $24 Safari, and yes, it’s also great. Unlike the 2000, the Studio fills via a proprietary cartridge/converter. I’ve never had an issue with this Lamy filling system, and I don’t foresee any problems with this one either. I can’t help but compare this pen to the 2000 again, because for the same price you get an awesome piston filling mechanism. Feel. This is where my issues lie with the Studio. The platinum grey coating has a wonderful textured feel to it, but it all goes out the window thanks to the grip. The super shiny, fingerprint magnet of a grip is incredibly slippery. It makes it hard to hold the pen for long writing sessions, and even then it takes me a few tries to find a comfortable grip where I don’t feel as though I’m going to drop the pen. The Studio does come in several other finishes and materials with different grips. I’d definitely recommend checking one of those out over this version BUT most of the better performing (hopefully) grips do not include the 14k gold nib. Overall, the finishing on the pen is pretty decent. There are no blemishes, the grip fits into the body nicely, the nib wrote well right out of the box. There’s a small gap when closing the cap that makes me feel like the pen isn’t completely closed. If you look closely, you can see the grip shining through in the image above. It’s not ideal, but I’ve yet to have the pen pop open. I’ve also found that the cap snags a little when being put back on. This could be user error, so just make sure you’re putting the cap straight on should you pick one up. By this point, you may be able to tell that I’m not a huge fan of the Lamy Studio. It’s by no means a bad pen, but the $150ish price range is highly competitive and there are plenty of better options out there. If it was between this pen and the Lamy 2000, I couldn’t see myself recommending this over it. The pen is highlighted by its 14k gold nib, but the ergonomics and finishing have me swapping the nib over to an Al-Star before reaching for the Studio. Let me know in the comments below if you have a Lamy Studio, I’d love to hear your experience with the pen! Ironically the Lamy EF is closer to a Fine Medium or even Medium if you’re coming from Japanese pens. I’d love it if the industry moved toward describing nib size in terms of millimeters. The Studio is an ergonomic disaster, albeit an attractive one. I haven’t tried the model with the rubberized grip, which is probably better. But, as you note, you can’t get a gold nib and rubberized grip on the same model, and it isn’t worth the $250 or so it would cost to buy two pens and swap nibs. If Lamy offered a Studio model with a gold nib AND rubberized grip, I’d buy it. The 2000 still wins. There’s very little that can be done to improve upon it (though it *can* be improved upon). * Clipless design. 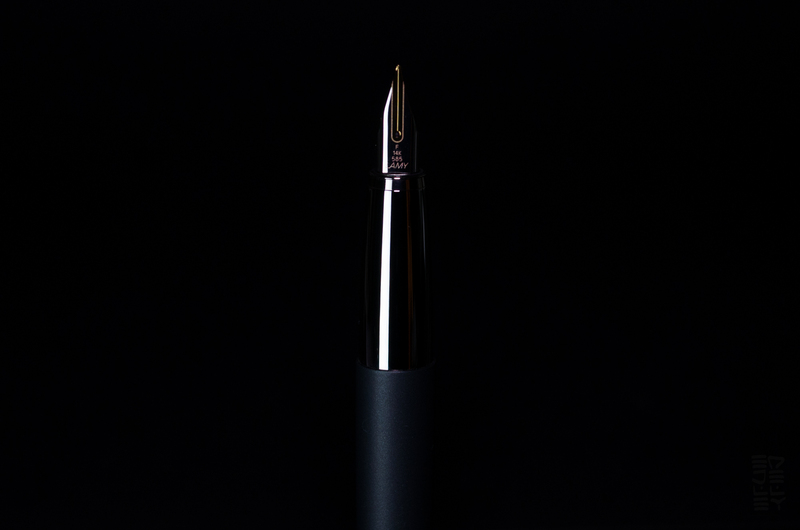 Nakaya is a great example of a pen brand that’s been doing well with this consideration. Pen clips are from an age where fountain pens were primarily designed for businessmen who wore button up shirts with pockets. While that class of customer still exists, pens should be designed now for the much larger market of customers who don’t have shirt pockets for their pens. * Redact the metal projections in the section and instead use hidden rare earth magnets to hold the cap on. * Enlarge the ink viewing window. * New nib sizes, described in metric measurements, that range from a Japanese EF to a Western Broad. The Lamy EF just isn’t fine enough for many customers. I like the Makrolon material a lot. I don’t like the stainless steel 2000 mostly because of the pen’s weight. But I don’t want to discourage Lamy from trying metal pens. 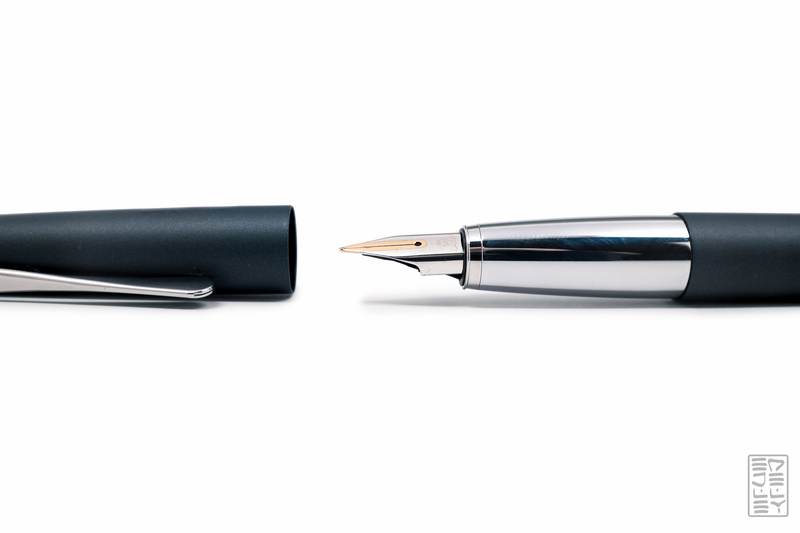 Aluminum and Titanium hold promise for lighter weight all-metal pens that will look beautiful. i had this once. the exact same color. a beautiful specimen. too bad the weight is a bit much for my hand to do long writing. Seems like you go for the lighter pens then! i do. and i do long writings sometimes. That gold nib is very, very smooth and nice to write with. I got one of these in the Palladium finish, which has a matte metal grip, and I don’t find it slippery. It does tend to cling to some inks though. I do think the pen looks elegant and distinctive with that propeller-shaped clip. $150 is too much for this pen, but if you can find it at a lower price it’s worth having. The EF nib I got is reasonably fine (I generally prefer Japanese nibs for their fineness) but oddly has a slight architect grind to it, probably inadvertently. Still super smooth and an enjoyable pen. I know I’m coming quite late to this discussion, but thought I’d add my two cents. I actually own the palladium version which has the same matt finish on both the barrel and the section. I do like this color, however if the platinum grey version was still available, I would have gotten that over the palladium, despite its shiny grip because I do like the color combination and the contrast better. I have used a number of other all metal pens with shiny grips, and got used to them. Now they pose absolutely no deterrent to me when choosing a pen. I have learned that the grip on a new metal pen needs to be thoroughly cleaned. Washing hands is also needed. 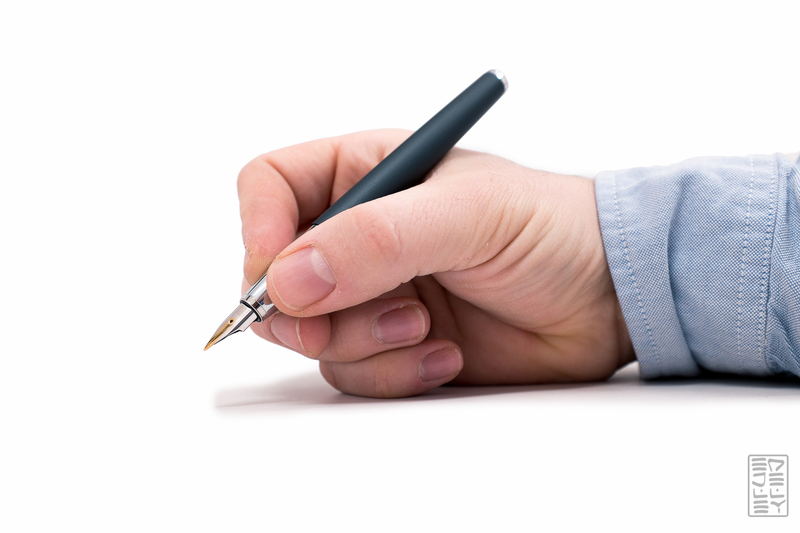 But the most important step in successfully gripping the pen is actually not holding it too tightly. 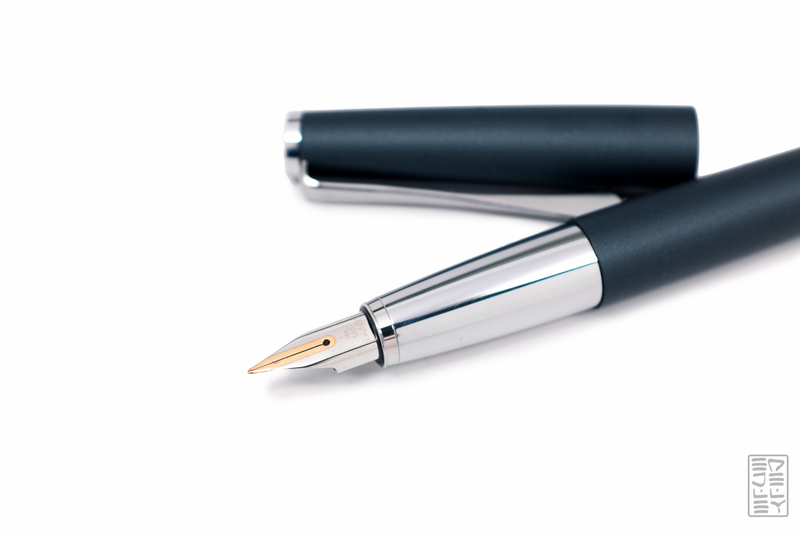 Metal pens have enough weight so that they don’t have to be pressed on when writing. This applies especially with fountain pens. You can keep a very relaxed, comfortable grip on this pen for a long writing session without any finger/hand fatigue. At the end, it is a matter of personal preference.  However, there is a good reason why this pen is designed the way it is and it is not only for esthetical reasons. 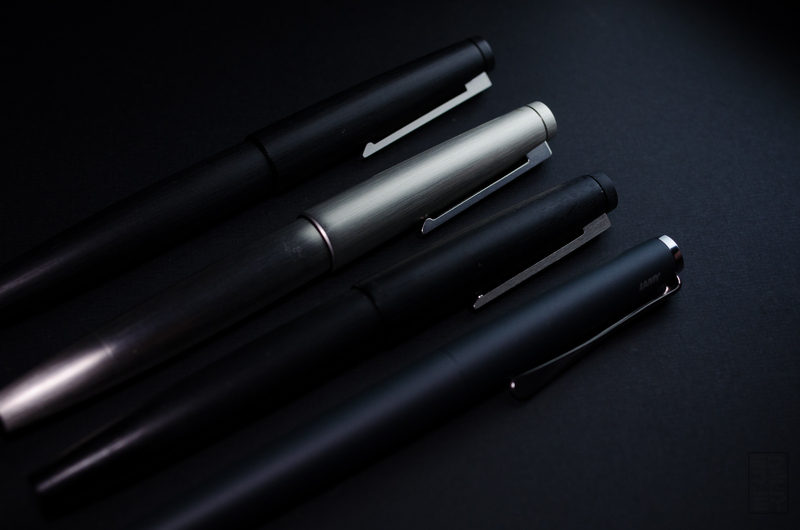 Lamy goes into great lengths making sure their pens are just as functional as they are visually appealing and modern.